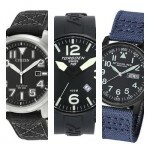 Hello everyone, today we’re going to be taking a look at this popular affordable pilot aviator watch brand Torgoen. 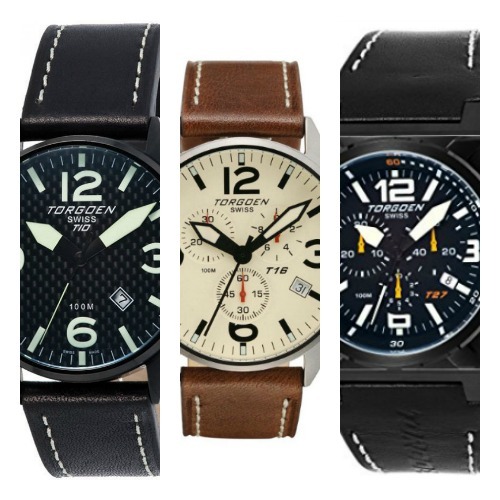 The Torgoen watch brand was originally founded by a group of aviation enthusiasts with the aim to provide pilots and other enthusiasts with high quality pilots watches with uncompromising quality for affordable prices. But are Torgoen watches actually any good? Each Torgoen pilot watch is tested under extremes of endurance, temperature, dust, impact and vibration to ensure precision, humidity and water resistance. To ensure accuracy and quality every Torgoen Swiss watch is Swiss made and features highly accurate Swiss made movements. With all this strict quality control in place, you can rest assured that you’re getting a high quality yet affordable timepiece. If you have any questions about any of the Torgoen watches featured here today just comment below and I’ll try to assist you as quickly as I can. First up in today’s list of the top Torgoen watches is this Torgoen T10. This model features a black IP plated stainless steel casing with a diameter of 45mm and a thickness of 14mm. The strap is made of a soft genuine leather with white stitching and fastens with a buckle style clasp. The dial has a high visibility design with its large lume filled hands and hour markers. These stand out brilliantly against the black carbon fibre background. There’s a small date display located between the 4 and 5 o’clock hour markers which should come in useful. This Torgoen watch is powered by a Swiss Ronda quartz movement for accurate and reliable timekeeping. The mineral crystal glass protecting the front of the watch has been specially hardened to offer a high level of scratch resistance as well as being shatter resistant. It also has a 100m water resistance rating. You can read my full T10105 Torgoen watch review here soon. Next up on our list of the best Torgoen watches is the popular Torgoen T16. This Swiss made watch is built with a strong stainless steel 316L casing that has a 45mm diameter and a thickness of 14mm. It features a screw down caseback to provide a 100m water resistance rating. The Torgoen T16 has a genuine Italian leather strap that fastens with a buckle style clasp. I like the uncluttered easy to read design of the dial on this chronograph watch. The hands and hour markers have a bold design to make them stand out on the dial. These also include a coating of lume for better visibility in dim lit conditions. At the heart of this timepiece is a Swiss made ETA G10.211 quartz movement for reliable and accurate timekeeping. Protecting the dial is a K1 mineral glass that’s been super hardened to provide a high level of scratch and shatter resistance. 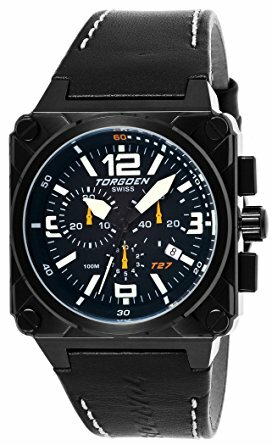 This Torgoen watch also has a 100m water resistance rating. You can read my full T16103 Torgoen watch review here soon. Here we have the Torgoen T35, it’s a Swiss made quartz chronograph pilot style watch that features a stainless steel 45mm casing with a thickness of 13mm. It’s been paired with a silicone rubber strap that fastens with a buckle style clasp. 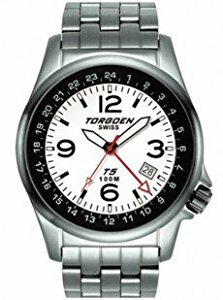 Like all Torgoen watches with their pilot/aviator design, this model has a high visibility dial with bold easy to read hands and hour markers. Both the hands and hour markers are coated in lume for better visibility in dim lit conditions. There’s also a small date display at the 4 o’clock position on the watch that can initially be a little hard to spot. At the heart of this Torgoen watch is a Swiss made Ronda quartz chronograph movement for reliable and accurate timekeeping. A specially hardened K1 mineral crystal glass protects the watch from scratches and shattering. Like the previous models, this watch also has a 100m water resistance rating. You can read my full T35301 Torgoen watch review here soon. 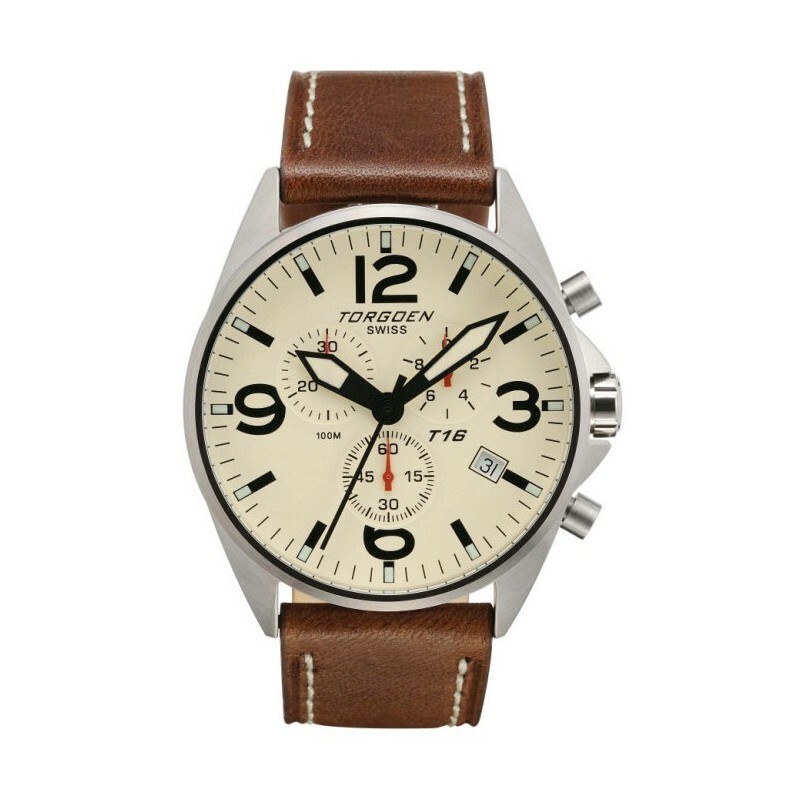 In at number 4 we have a Torgoen T27 that reminds me of the luxury Bell & Ross aviator watches. This model has a square shaped black ion plated stainless steel casing with a diameter of 45mm and a thickness of 12mm. Like any good Aviator watch should have, this dial has a high visibility design with large bold hands and numeral style hour markers. The sheer width of the hands on this model make them very easy to spot. Both the hands and hour markers are coated in lume for better visibility in dim lit conditions. There’s also a small date display at the 4 o’clock position on the Torgoen T27. At the heart of this Torgoen watch is a Swiss made chronograph quartz movement for accurate and reliable timekeeping. A K1 mineral crystal glass has been super hardened to offer a high level of scratch and shatter protection. Last but not least is the 100m water resistance rating that’s bound to come in useful. You can read my full T27101 Torgoen watch review here soon. 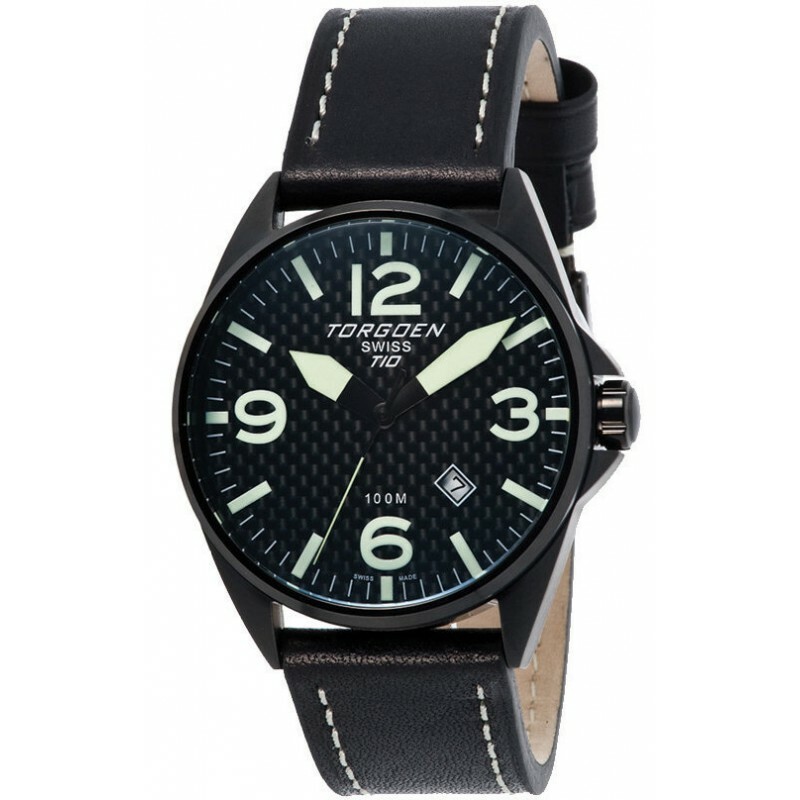 Last up on today’s list of the top Torgoen watches for men is this popular Torgoen T5 model. This watch has a large 42mm stainless steel casing with a thickness of 13mm. The strap is also made of a strong stainless steel and fastens with a fold over style clasp. The dial has a very easy to read display with high contrasting bold black hour markers that stand out against the white background of the watch. There’s a GMT indicator for dual time display as well as a date function at the 4 o’clock position. 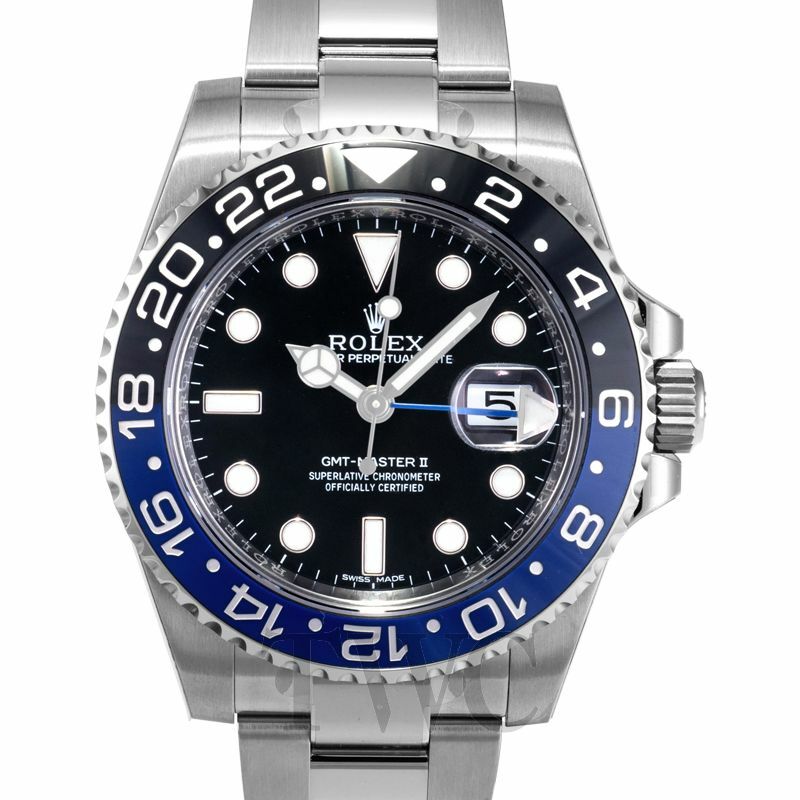 Why not check out my top 10 GMT watches if you like this complication. Powering the men’s Torgoen watch is a Swiss made quartz movement for reliable and accurate timekeeping. A specially hardened mineral crystal glass gives you a good level of scratch and shatter resistance. 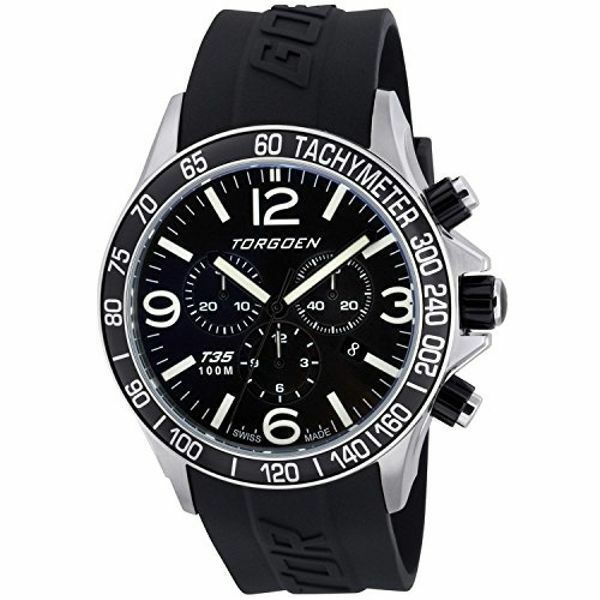 Like the previous Torgoen watches this model also has a 100m water resistance rating. You can read my full T05105 Torgoen watch review here soon. 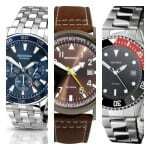 Thanks as always for taking the time to read through today’s latest list on the most popular Torgoen watches. What was your favourite model? Comment below and let me know. Thanks for the Torgoen watch review, I went ahead and bought number 4, it has such a cool look to it. I’ll comment again next week once it arrives and tell you what it’s really like!